All products were reviewed in SoundStage! Hi-Fi, SoundStage! Xperience, GoodSound! or Ultra Audio during the 2011 calendar year. A few years ago, it seemed that few specialist audio companies were interested in manufacturing DACs. With the proliferation of computer-based audio, DACs have made a comeback, and I found several models at this year's CES that piqued my interest. 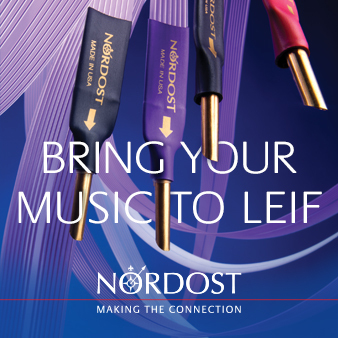 Not too long ago, the idea behind an integrated amplifier was simple: it combined the preamplifier and power amplifier into a single case, often incorporating a phono stage as well -- a convenient all-in-one solution. This year at CES I found three companies that have realized that this approach has become rather limited, so they decided to take things a few steps further by adding even more features such as DAC boards that enable a multitude of digital inputs, iPod connectivity, wireless streaming, and even HDMI switching! In fact, there were many companies offering different variations on this theme, offering one or more of these features, although none offered all of them. But there were still three cutting-edge integrated amplifiers that really stood out for me. Over the years, the Venetian hotel has become the hot spot for higher-end products at CES, and anyone who has visited the Venetian knows it's important to keep a keen perspective of things because many of the two-channel music systems on display there can cost more than your house. When I received the CES press release from Harman International, parent company of such brands as Mark Levinson, Revel, Lexicon, and JBL, announcing a slew of new products including the updated Revel Performa3 line of speakers, I didn't take much notice. So when I stepped into Harman's room on the 35th floor of the Venetian tower, I wasn't surprised to the see the new Revel Performa3 line in their suite, but I was surprised to see how much better these new models looked compared to their predecessors. The previous Performa speakers were relatively plain-looking rectangular boxes -- very well-built boxes, mind you, but plain boxes nonetheless. On the other hand, the new Performa3s have curved side panels with tasteful matte-black top accents and are available in very attractive high-gloss wood veneers or automotive-grade paint finishes. On the first day of CES, I walked into the Perfect8 room and looked at the new Point MkII loudspeaker, which I thought was an interesting design in that the cabinet, if you can really call it that, was made of glass. A quick glance around the speaker revealed a front- and rear-radiating ribbon tweeter and two midrange drivers with no enclosure. Since these drivers are radiating energy to the front and rear, the speaker is a dipole. I also saw two side-firing woofers, presumably operating in parallel to increase output, that were driven by class-D amps housed in the glass bass enclosure. The crossover was external, housed in what appeared to be glass boxes located on the equipment rack, one for each speaker. The speakers were being driven by a BAlabo amp. As I said, the speaker design looked interesting, but it's hardly unique. I've seen all of these design elements in other speakers at one time or another, including the use of glass. SoundStage! Network publisher Doug Schneider was so impressed by the Definitive Technology StudioMonitor SM55 ($598 per pair) last fall at CEDIA that he wrote extensively about its surprisingly good performance. So I wasn't quite so surprised when I heard the step-up SM65 ($898 per pair) model, which sounded simply superb at this year's CES. Even without the aid of Definitive's new SuperCube 8000 subwoofer, the SM65 had plenty of useable bass and the soundstage was huge with imaging that was spot on. On February 1 my review of the Vivid Audio Giya G2 loudspeaker, which sells for $50,000 per pair, will be published on SoundStage! Hi-Fi. I don't want to give away too much from the review, but I will tell you two things: the G2 is the best loudspeaker I've ever heard, and it may well be the best loudspeaker in the world at this time. It's a radical-looking speaker that produces ridiculously good sound -- sound that's clearer, cleaner, and more effortless than most audiophiles have ever heard. JVC has always been a top contender in the projector market, and many of the SoundStage! Network reviewers use their projectors. JVC maintains their strong foothold by offering top-shelf performance at competitive prices. It therefore came as no surprise that JVC recently released updated versions of their X3, X7, and flagship X9 projectors, now dubbed the X30R, X70R, and X90R, respectively. What did come as a surprise is the fact that despite the numerous improvements made to all three of these models, none suffered a price hike. In fact, the X30R now retails for a thousand dollars less at $3500. So-called "Superspeakers" -- giant loudspeakers that purport to represent the state of the art and retail not just for tens of thousands of dollars, but sometimes hundreds of thousands -- rarely impress me. Our editor-in-chief, Jeff Fritz, likes to write about them, but I don't because most of these high-priced behemoths often end up being not much more than overpriced eyesores. Yesterday I wrote about the first batch of Superspeakers I listened to. Today I offer up the second and final installment. But first, some general observations: there seems to exist an inverse relationship between marketing aggressiveness and advanced loudspeaker engineering, at least with some makers of expensive loudspeakers. I listened to a couple of these models at CES 2012 -- some for the umpteenth time -- and could not get over how absolutely average several of the really expensive speakers sounded. Not always bad, mind you, but certainly not equal to the marketing propaganda that can be hilarious in its nonsense and embellishment. For the amounts of money that high-end-audio companies are charging for the Superspeakers described below, you should expect nothing less than blow-your-mind sound. CES is an event in a hotel -- granted -- but the manufacturers themselves are setting up their own products and I have to expect that they can get sound equivalent to what someone could in a home environment, particularly if a dealer helps set them up. I mean, these things have to sound at least very good, right? For example, at CES I heard the new Revel Performa3 M106 standmount speaker, which costs a mere $1700 per pair, sound simply amazing -- it's a true budget reference. Therefore, for many, many times the Revel's cost, all of these Superspeakers should blow these cheap Revels away. Do they? The quest for the sound of live music in reproduced music drives audiophiles to spend massive amounts of money. It also drives audio companies to produce innovative products to sell to them. Sometimes that quest -- for consumers and manufacturers -- can lead to unexpected revelations. I think the MBL 101X-treme loudspeaker ($263,000 per pair) is, more than most audio components, the result of this quest. Magico's Q loudspeaker platform launched at CES 2010 with the introduction of the Q5, which retails for $59,950 per pair. 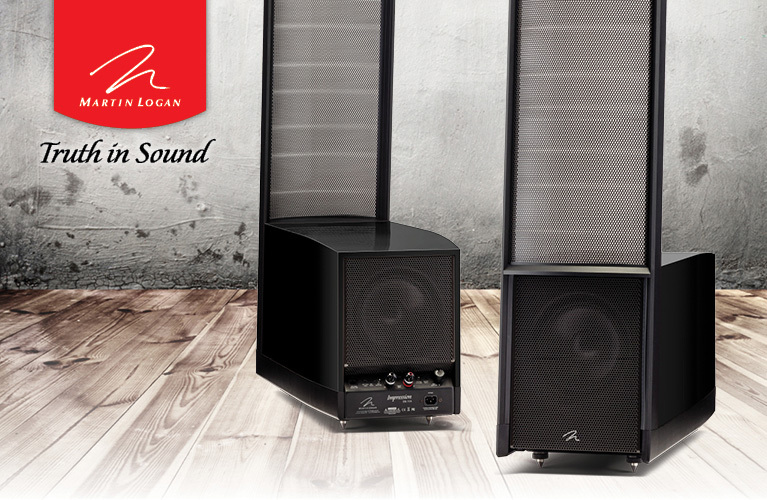 It has served as the company's flagship loudspeaker since that time, with subsequent launches of the smaller Q3 and Q1 models. The new Q7 ($165,000 per pair) now takes over that top spot in the Berkeley, CA, company's loudspeaker hierarchy in overwhelming fashion. I spoke to Yair Tammam, Magico's chief technical officer, about the development of the Q7, and our conversation yielded a number of interesting points. With the introduction of the Amati Futura, Guarneri Evolution, and The Sonus Faber loudspeakers over the last year or so -- and most recently the Aida, which is making its North American trade-show debut at CES -- Italy's Sonus Faber has clearly become a more engineering-driven company than in years past.